PGY-1 Residency: community pharmacy practice residency at Oregon State University Student Health Service Pharmacy in Corvallis, Oregon. Buchman received an OSU/OHSU resident teaching certificate as part of this residency. PGY-2 Residency: drug information/academia residency at the University of Montana Skaggs School of Pharmacy in Missoula, Montana. She also teaches a few lectures each year for the Pacific Northwest University of Health Sciences (PNWU) Doctor of Osteopathic Medicine students. Buchman’s research focus is on student-based skills and simulation and how to integrate interprofessional learning and education. 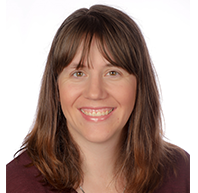 Buchman is a member of the Yakima Valley Interprofessional Practice and Education Collaborative (YVIPEC) Student Curriculum Development Committee, ASHP, APhA, as well as several state pharmacy associations. She is also the faculty advisor for the Yakima APhA-ASP chapter. Robinson J, Remsberg C, Bray B, Stewart A, Brand-Eubanks D, Buchman C, Willson M, Akers J, Padowski J, Daoud S, Clark J, Paine M, Gates B, Muller S, MacLean L, Pollack G. A transformative shift: competency-based active learning at Washington State University. Presented at the 2016 American Association of Colleges of Pharmacy Annual Meeting. Clark J, Buchman C. Pearls for converting a self-care therapeutics course into an active learning model with multiple guest speakers & facilitators at two campuses. Presented at the 2016 Northwest Pharmacy Convention.